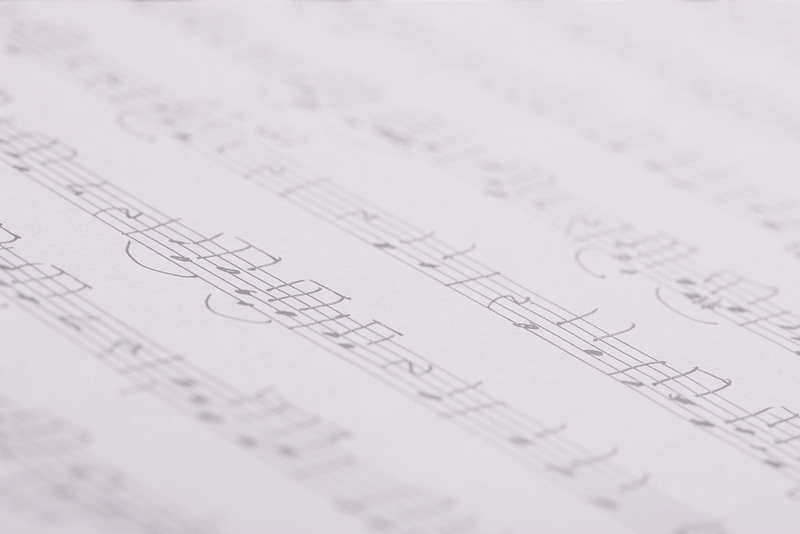 Voice lessons are available in 30, 45, or 60 minute weekly lessons. Program also includes two 60 minute group classes per month: music theory fundamentals and performance workshops. Plus one formal recital per semester. Rachel Kish has been a piano and vocal teacher at the Rochester Conservatory since June, 2013. She has a BM in Choral/Music Ed from Oakland University. She has been teaching professionally since 2009. Mrs. Kish also has an active career as a church musician and choir director. Her absolute, number one passion in life is teaching music. She has terrific organizational skills which she uses to form each lesson around a student’s strengths and areas that need improvement. Her lessons are always student-centered. She is a kind and gentle instructor. Brittannia Talori has been a vocal instructor at the Rochester Conservatory since August, 2015. She has a BM, Vocal Performance from Nyack College and a MM, Vocal Performance from Wayne State University. She has level one certification in Somatic Voicework – The Lovetri Method. Somatic Voicework The LoVetri Method is a body-based method of vocal training which draws from many disciplines. It is based upon voice science and medicine as well as traditional classical vocal training, complementary modalities such as yoga, movement, dance, acting, and speech training, and various bodywork approaches. This method is meant to unselfconsciously draw the mind of the singer into the physical process of making sound. Ms. Talori has been teaching professionally since 2005. She also has years of opera experience, both as a performer and a director. Ms. Talori enjoys working with students and helping them to discover their own sound, to develop their own unique voices and to be vocally healthy. She works in each lesson to build her students’ confidence through strong vocal technique. 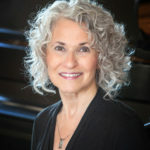 Cathy Zucker has been a vocal instructor at the Rochester Conservatory since February, 1997. She has a BA in Music Ed from SUNY Fredonia and a MM in Vocal Performance from SUNY. 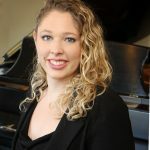 She was a soloist in Choral works with the Buffalo Philharmonic and has performed in numerous recitals and community Musical Theatre productions. She is comfortable with Classical, Musical Theatre, Jazz and Pop styles. She is also a Church Soloist and has been teaching professionally since 1996. In addition to her duties as a private vocal instructor at the Rochester Conservatory, Ms. Zucker is also the placement director for all incoming students and is an invaluable member of our team! She is passionate about singing and about her students. She loves to help them do what they love and she is very successful at it. Her students often have the lead roles in their high school musicals, many are pursuing careers in music, including recording albums in Nashville. Ms. Zucker’s dedication shows in the achievements of her students. She is excellent at preparing them for auditions and performances and has a high rate of acceptances into college music programs. She has a wonderful, caring demeanor and she is loved by her students. Chynna Lucken has been a vocal instructor at the Rochester Conservatory since August 2017. She received a Bachelor of Music degree in vocal performance from Oakland University and a Master of Music degree in vocal performance from San Francisco Conservatory where she also completed the Vocal Pedagogy Course. Mrs. Lucken has had numerous opera roles since 2013 and also attended Interlochen High School. 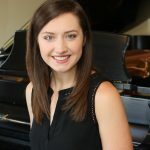 She provides a fun, safe learning environment for her students to learn and grow while providing them with a strong vocal technique that gives them the tools to express their individuality and creativity. Mrs. Lucken is comfortable with students of all ages, levels and musical genres. 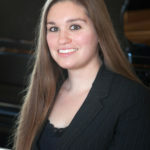 Lauren Munaco received a Bachelor of Music in Vocal Performance from Oakland University and a Master of Music in Vocal Performance from Ohio State University. 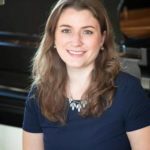 Mrs. Munaco taught at the Rochester Conservatory from 2012-14 while obtaining her Bachelor’s degree and rejoined the faculty in June 2018 and we’re delighted to have her back! She is a fun, energetic teacher and knows how to get results. Mrs. Munaco is comfortable with students of all ages and abilities. In addition to her teaching, she is also a member of the St. Irenaeus Parish Choir and a professional cantor.